Join us for our 2018 Annual Convention at Hilton Norfolk The Main: Norfolk, Virginia. 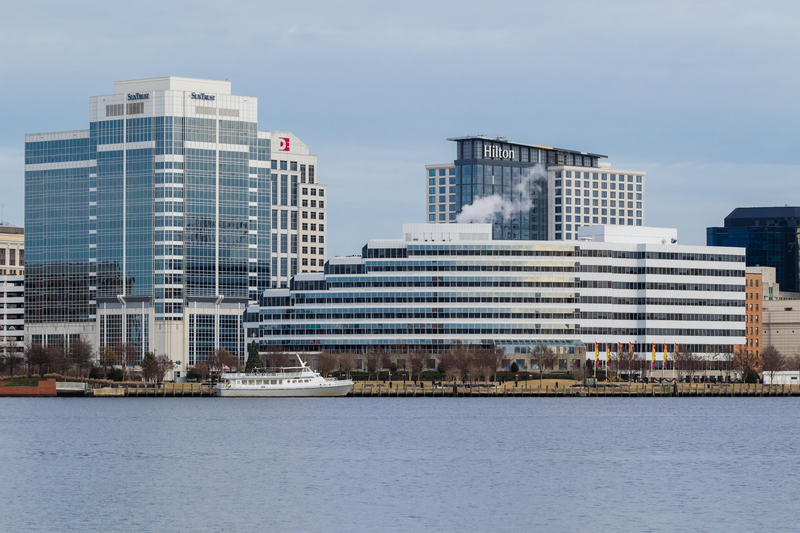 This modern, upscale destination sits along the downtown Norfolk waterfront, offering gorgeous views of the Elizabeth River in a thriving downtown setting. World Trade Center and 150 West Main Street Building in downtown Norfolk, Virginia. 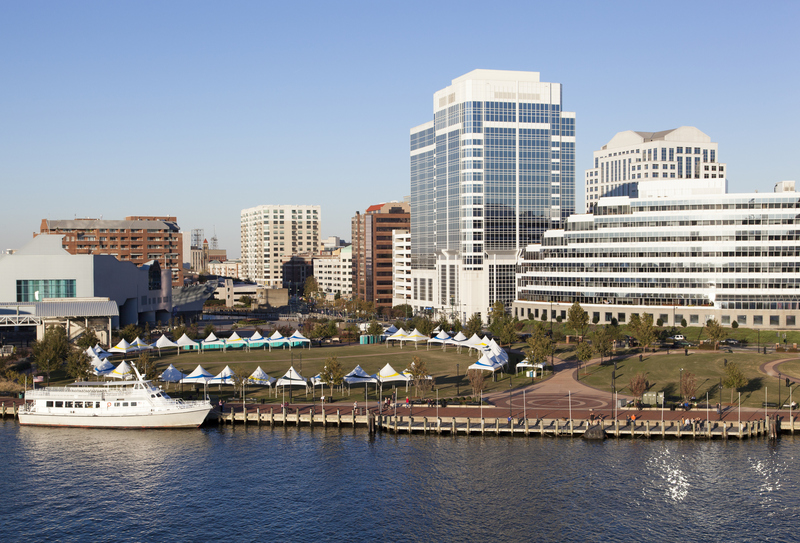 Viewed from across the Elizabeth River. 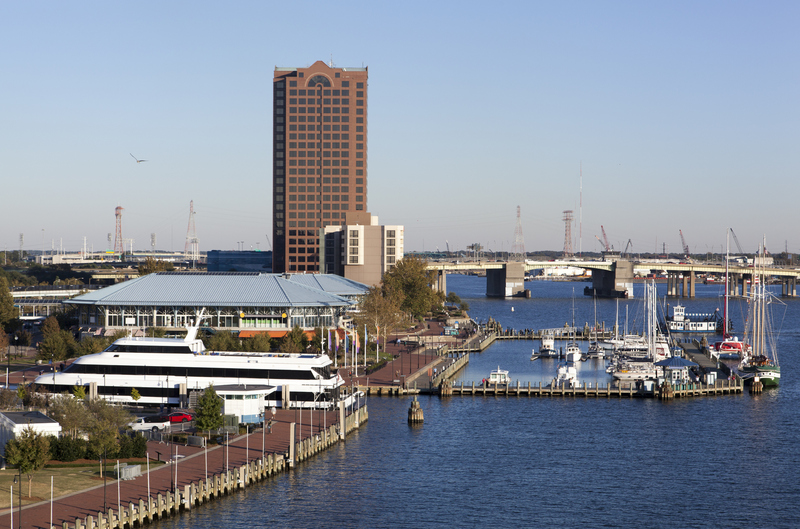 The view of Norfolk downtown waterfront and a little marina. The view of Norfolk downtown in the evening light. 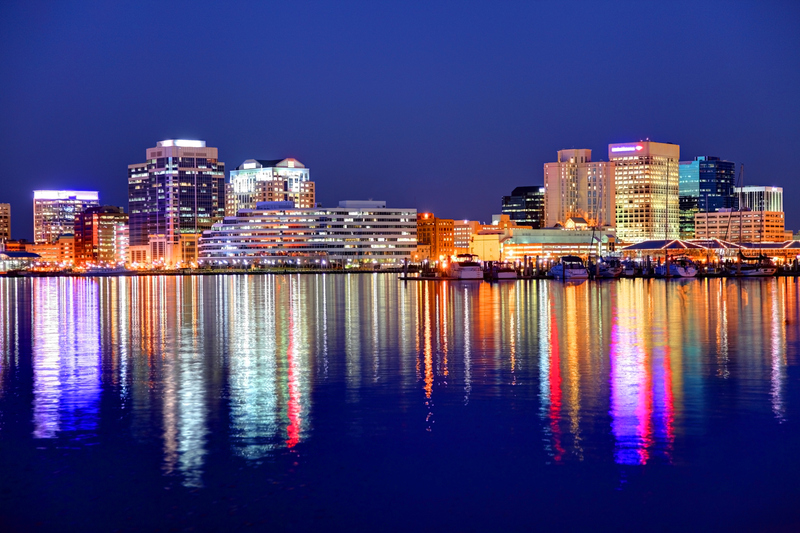 Norfolk, Virginia, skyline at night with long reflections of colored lights in the Chesapeake Bay estuary in the foreground.